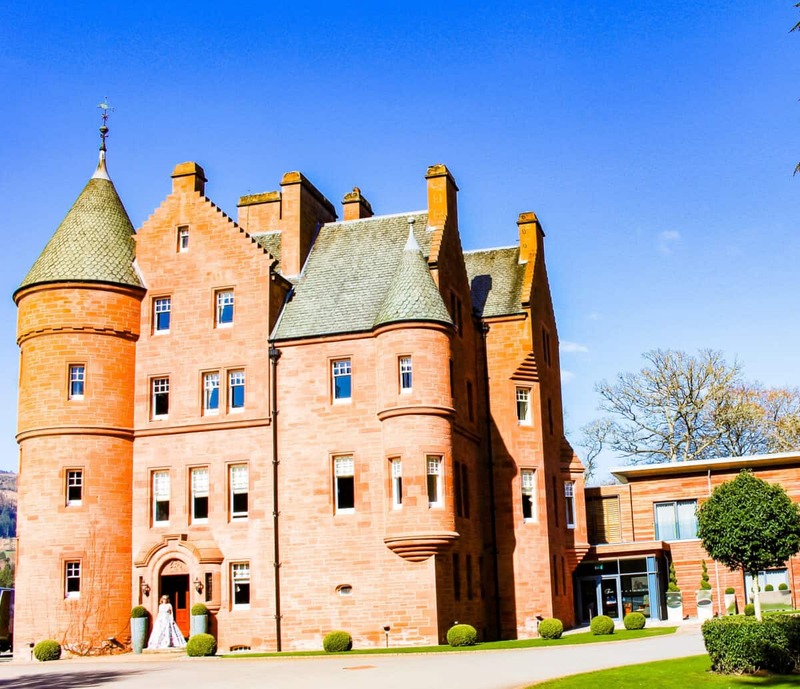 Are you dreaming about staying in a Scottish Castle? Well, dream no longer! I have the perfect Castle for you to stay in during a trip the Scottish Highlands. 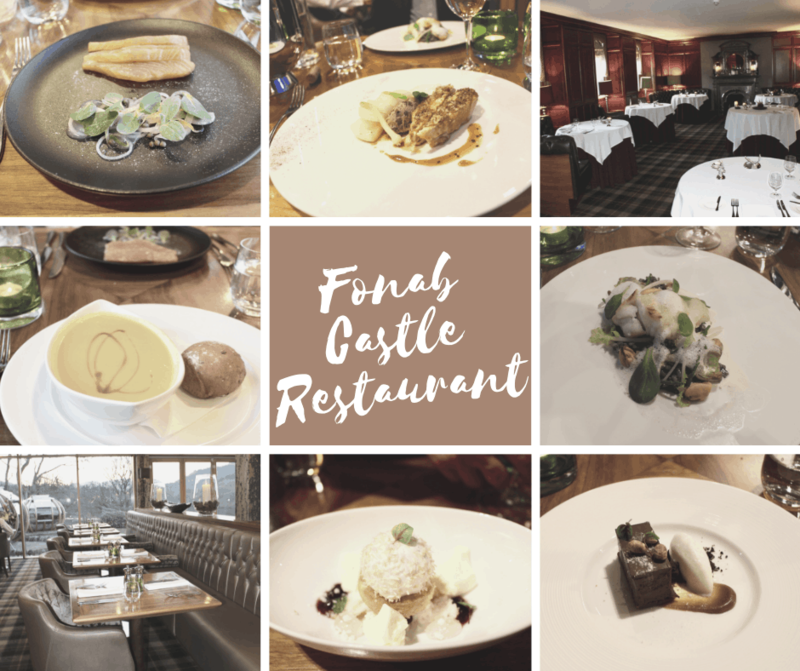 Fonab Castle Hotel is set beside beautiful loch Faskally with impressive views of Ben Vrackie and is close to Pitlochry. This is not a fusty old Castle, it has been completely renovated and refurbished with great style. You can choose to stay in the Castle or a newly built Lodge. We stayed in a Lodge Room with our dogs. Dogs are welcome and there is a special Lodge especially for dogs. 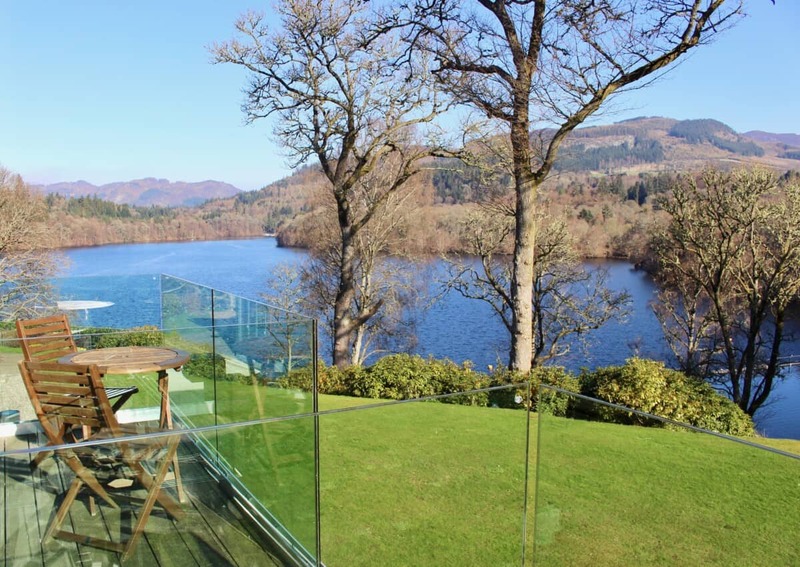 Our Lodge room enjoyed views of the Loch and a little outside area to sit and enjoy the view. Super comfy, large bed, a Diva essential as regular readers will know! The room was spacious with a sitting area and big TV. Fantastic bathroom with a big shower and bath. Freddie and Zarya enjoyed their doggie welcome packs and dog beds. Scotland is a very dog friendly country to visit. 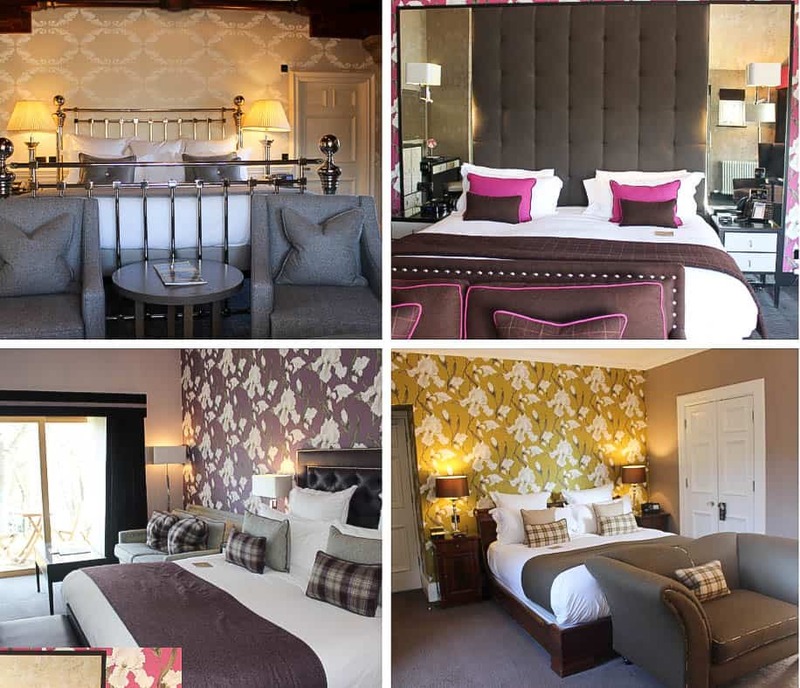 Fonab Castle Hotel is situated a short stroll from Pitlochry and is only an hour from Edinburgh and Glasgow. There are some lovely walks around the lake and nearby hikes. 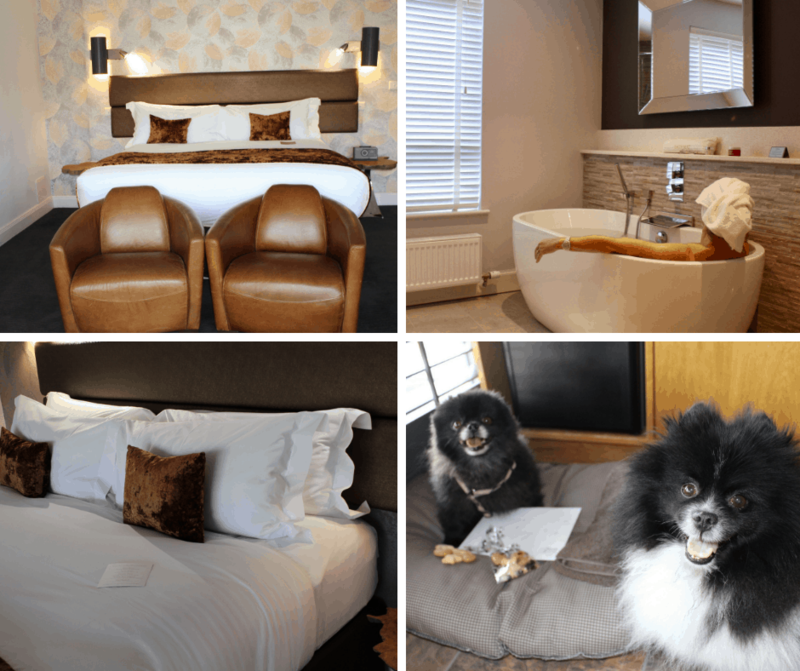 Choose the gorgeous Penthouse Suite located at the top of the Castle or a Castle Signature Room. The Lodge Rooms are lovely too and enjoy a balcony or garden patio area to sit outside. The restaurant was a surprise and delight! I was not expecting such a fantastic meal. An excellent Chef prepared quality, fresh ingredients with a light touch. A modern and clean menu which we enjoyed very much indeed! If you are lucky enough to live in the area, go for dinner or lunch. Our evening started with an aperitif in the bar. This enjoys the most glorious views, relaxing ambience, comfy sofas and an impressive drinks menu! How can you choose from over 100 Gins? There is a Whisky room for you if Whisky is your drink of choice. We chose Boe Stirling and Crossbill Aviemore gin with tonic. Generous amounts too! Downstairs for dinner, looking out over the Fonab Castle Pods, these are very chic and you can enjoy a drink in there too. I chose Smoked Salmon to start and Mr Diva had the Soup. Chicken and Monkfish followed with Chocolate Tart and a Snowball for dessert. All of the staff at Fonab Castle make for a very happy atmosphere and you are guaranteed a warm welcome. The Sommelier was very knowledgeable and helpful too. There is an interesting wine list awaiting you at Fonab Castle Restaurant. There is also a dedicated restaurant for a personalised tasting menu, see on my collage above. My favourite thing about staying in a luxury hotel? ROOM SERVICE! 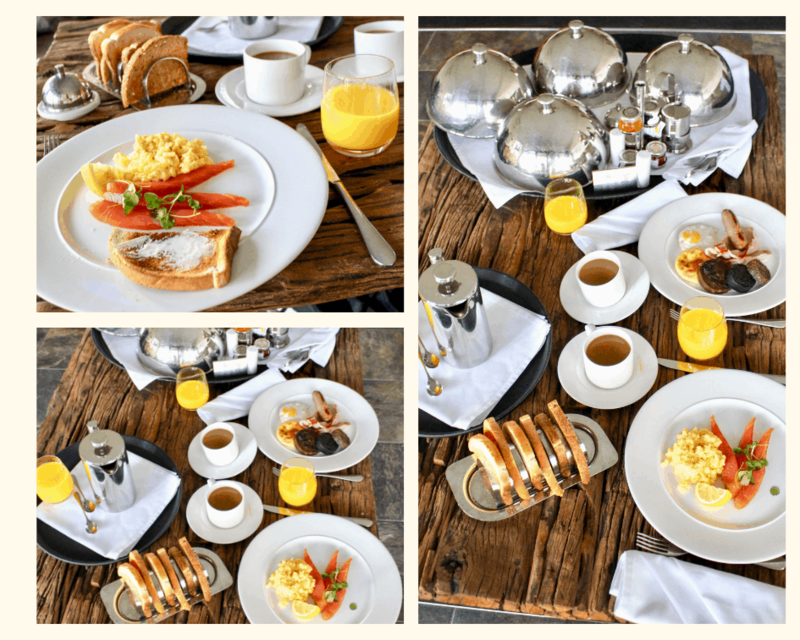 The joy of breakfast in bed and especially a very delicious Fonab Castle Hotel breakfast. This was the best porridge we have ever eaten. Mr Diva was happy with his full english (Freddie compliments the chef to the black pudding, that was his morning treat). I enjoyed scrambled egg and smoke Salmon. The Salmon is smoked at the hotel and is excellent. 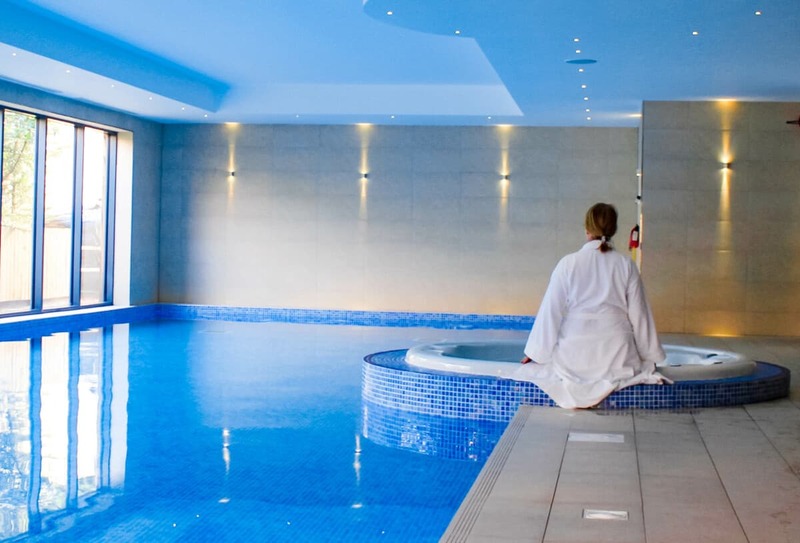 Enjoy the impressive indoor swimming Pool and Whirlpool, Sauna, Steam and relax Room. The Woodland Spa has a good Spa menu for massages and Spa treatments. Perfect to help you totally relax during your stay. There are lots of things to do near Fonab Castle Hotel. We enjoyed a lovely walk around the Loch and a walk into Pitlochry. We wanted to do some shopping but everything was closed! Beware that shops close at 5pm, which was a shame because there were some interesting things to buy! 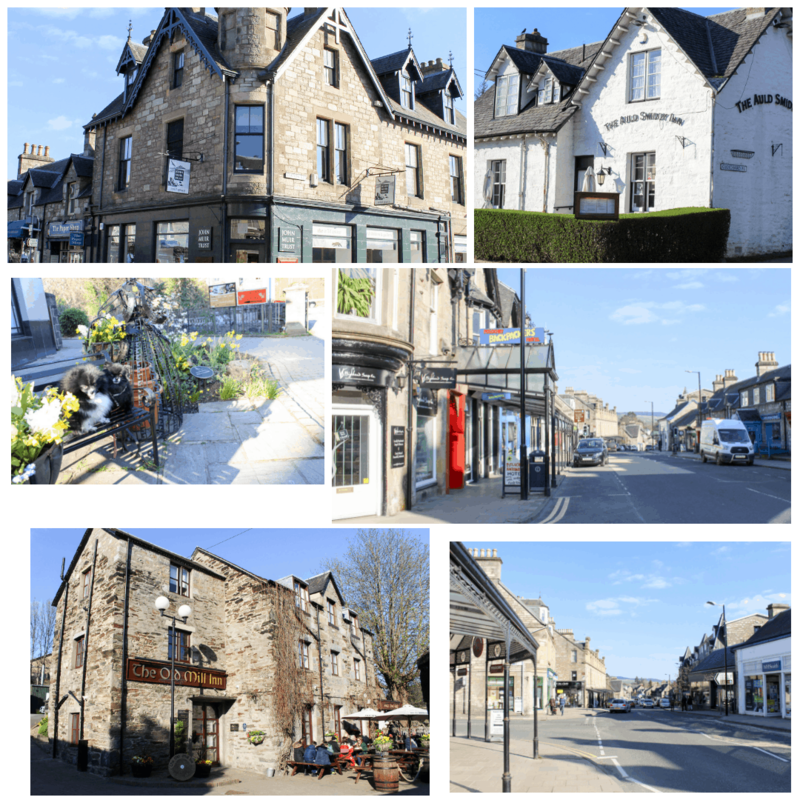 Pitlochry…. open later please! 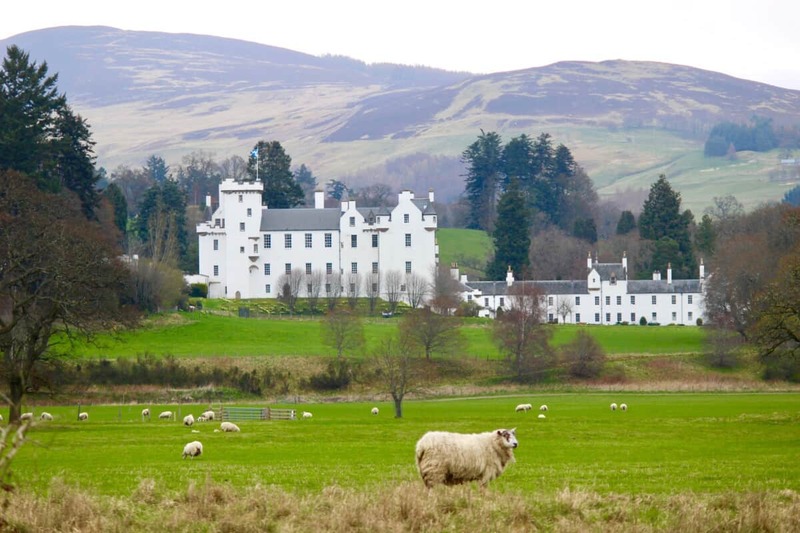 You will find Blair Castle and Gardens only a ten minute drive away. An enormous House of Bruar shopping centre is right nearby too. 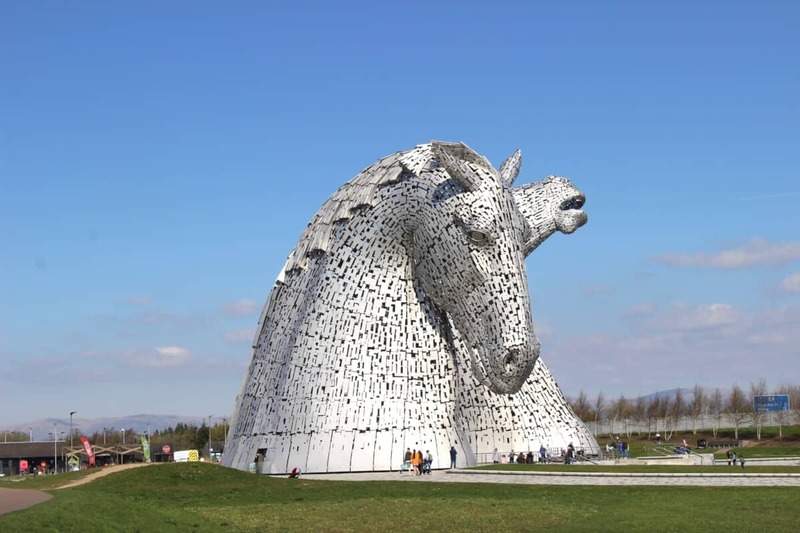 The Kelpies are only a 50 minute drive away if you are heading south and are unmissable.